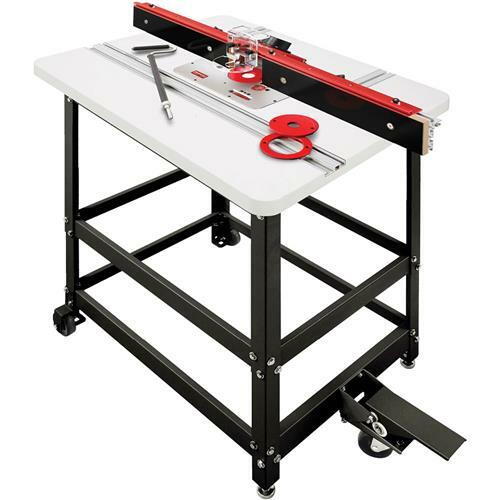 This package is complete with a 36” Single Offset Super Fence, 24” x 32” Premium Router Table, Adjustable Steel Router Table Stand, Wheel Kit and our newest, top-of-the-line V2 Precision Router Lift. 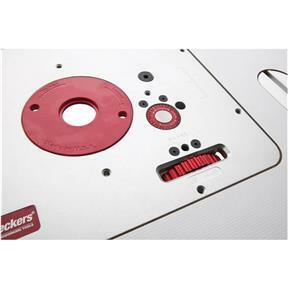 The V2 Precision Router Lift represents almost ten years of lift building experience and includes the best patented features from all other Woodpecker router lifts. 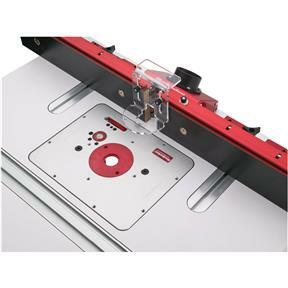 Some of the most noteworthy features include a Quick Lift mechanism which makes raising the router to any coarse position or to bit changing height lighting fast with no cranking. Fine adjustments are just as fast with a built in micro adjust thumb wheel. No more crank handle. Each lift includes three Twist Lock rings, spring loaded lift wrench, spanner wrench and a steel starting pin. 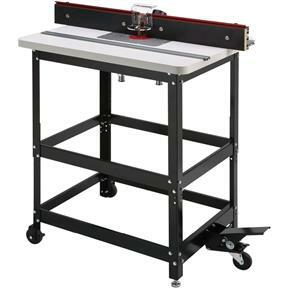 The 36” long Single Offset Super Fence features a 4” tall extruded aluminum, variable throat, offset adjustable front face. The Super Fence has a very unique built in self squaring out feed fence that makes it easy to micro-adjust the front face alignment while staying perfectly parallel. Feather boards attach to any of the three front t-slots and can even straddle a sacrificial wooden fence through the use of the feather board track which adjusts to a variety of board thicknesses. The universal 2-1/4 and 2-1/2 dust port fits most shop vacuums and dust collection systems. 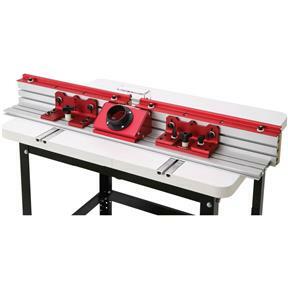 The Super Fence mounts directly to Woodpeckers commercial grade 24" x 32" x 1-3/8" router table. The embedded T-tracks allow for simple adjustability. No edge clamping necessary. 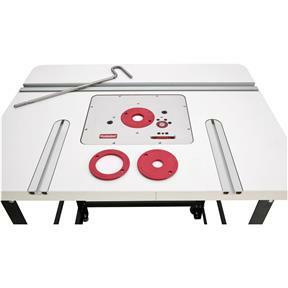 The table also features an embedded combination miter and T-track. 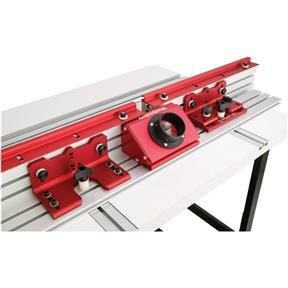 The 3/8 x 3/4 miter channel is compatible with miter gauges, cross cut tools, feather boards and coping sleds. 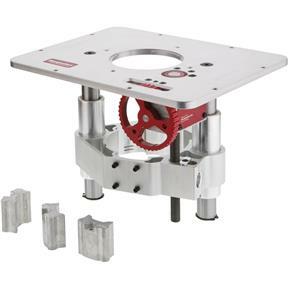 The 9 ¼ " x 11 ¾ " x 3/8" table opening fits most standard router plates and lifts. This package also includes our powder coated 14 gauge steel Router Table Stand which supports the table with six braces and is vertically adjustable from 36” to 42”. The Wheel Kit allows for easy mobility with a simple push of a foot pedal. Fits 3.5" router motors like PC 690/890, Bosch 1617/1618.